Welch Allyn 3.5v PanOptic Prestige desk diagnostic set with a desk charging unit and two Lithium-Ion rechargeable Smart handles. The PanOptic ophthalmoscope provides easy entry into the eye, together with a wider field of view to more easily observe conditions such as hypertension, diabetic retinopathy and papilloedema. 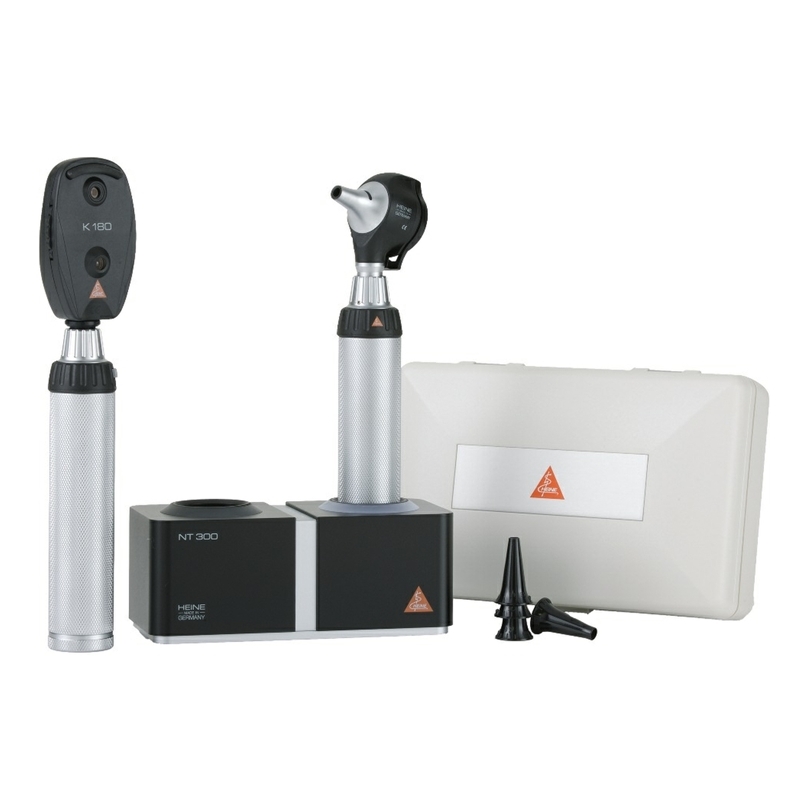 The Welch Allyn 3.5v Lithium-Ion Prestige desk set contains a 3.5v Coaxial Ophthalmoscope and 3.5v Macroview Otoscope with a desk charging unit and two Lithium-Ion Smart rechargeable handles. The popular Welch Allyn 3.5v Elite set with Litium-ion handles. 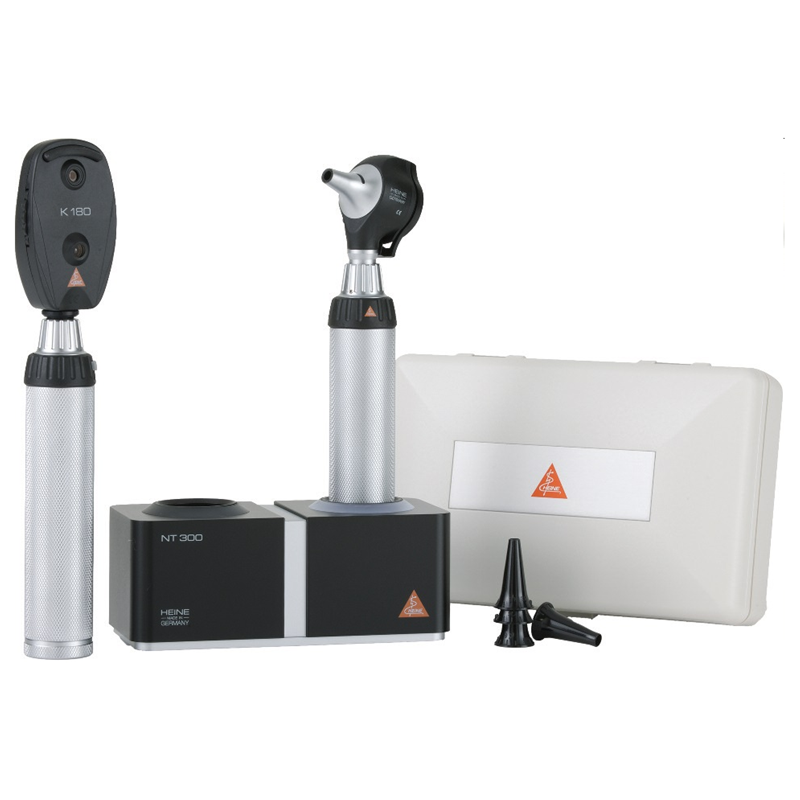 Set contains a 3.5v Coaxial Ophthalmoscope and 3.5v Diagnostic Otoscope with a desk charging unit and two Lithium-Ion Smart rechargeable handles. 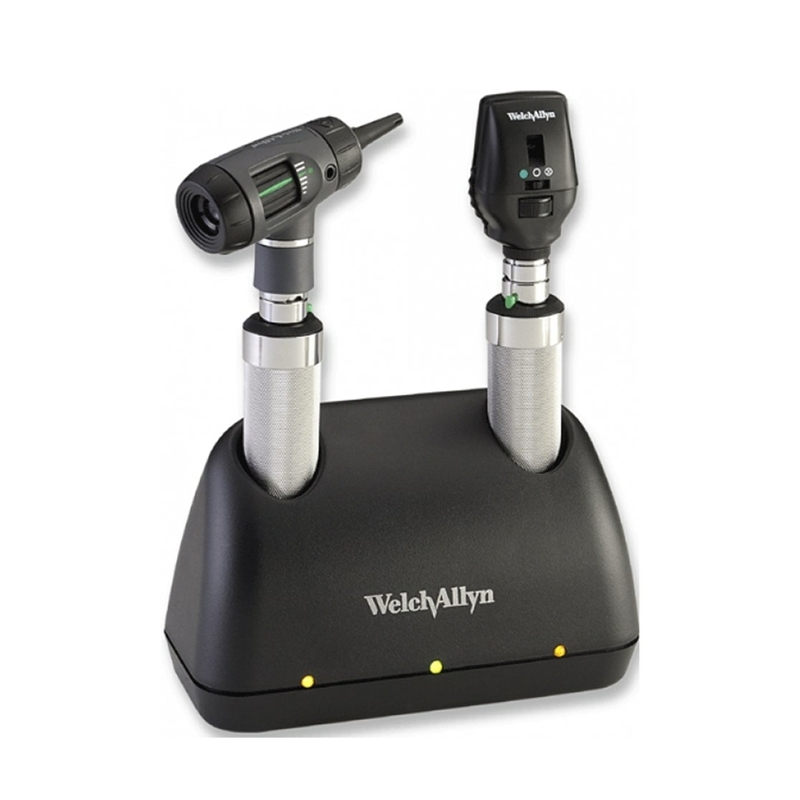 Welch Allyn 3.5v PanOptic Elite desk diagnostic set with a desk charging unit and two Lithium-Ion rechargeable Smart handles. The PanOptic ophthalmoscope provides easy entry into the eye, together with a wider field of view to more easily observe conditions such as hypertension, diabetic retinopathy and papilloedema. 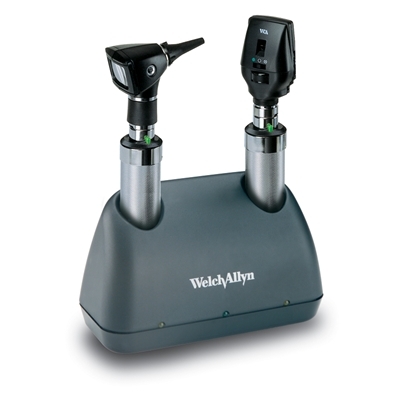 The Welch Allyn 3.5v Prestige desk set contains a 3.5v Coaxial Ophthalmoscope and 3.5v Macroview Otoscope with a desk charging unit and two Ni-cad rechargeable handles. 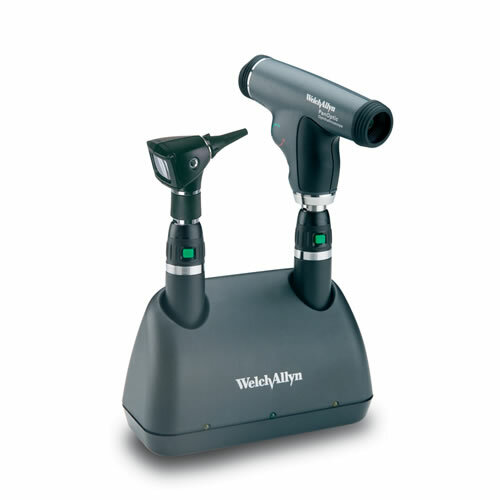 Our most popular desk diagnostic set, the Welch Allyn 3.5v Elite set contains a 3.5v Coaxial Ophthalmoscope and 3.5v Diagnostic Otoscope with a desk charging unit and two Ni-cad rechargeable handles. 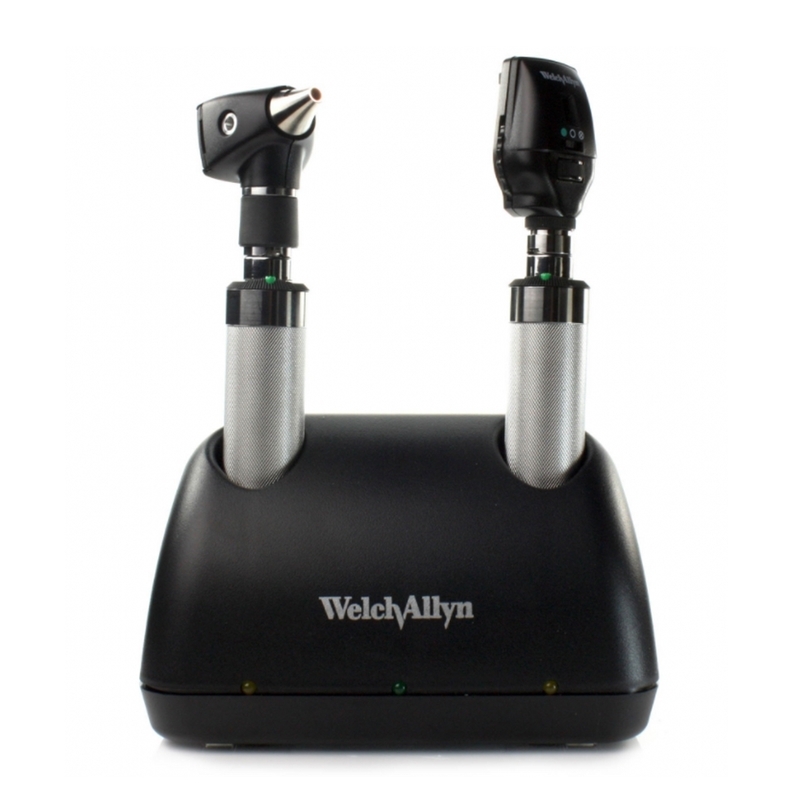 Welch Allyn 3.5v PanOptic Elite desk diagnostic set with a desk charging unit and two Ni-Cad rechargeable handle. The PanOptic ophthalmoscope provides easy entry into the eye, together with a wider field of view to more easily observe conditions such as hypertension, diabetic retinopathy and papilloedema.